Russia had deployed a battery of Uragan rocket launcher systems to a military base in Tajikistan. 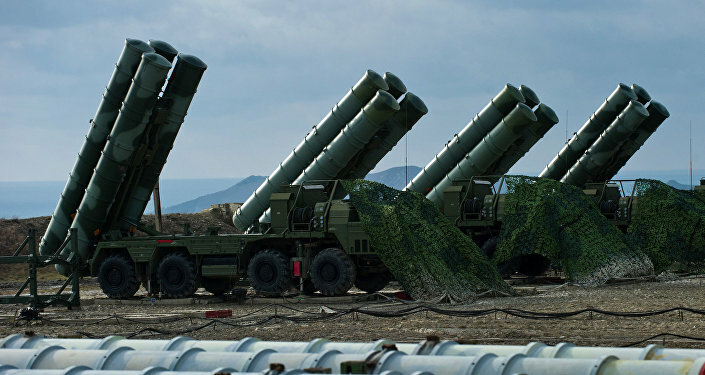 "The combat capabilities of the 201st military base are reinforced by a formed heavy battery armed with Uragan multiple rocket launcher systems," Col. Gen. Vladimir Zarudnitsky, commander of the Russian Central Military District, said Thursday. Zarudnitsky underscored that the fighting strength of the facility will continue to comply with international agreements. The BM-27 Uragan is a self-propelled multiple rocket launcher system (MRLS), capable of firing 220 mm rockets from 16 launch tubes. A full salvo of 16 rockets can be fired in 20 seconds and can hit targets at a distance of up to 35 kilometers. The system can operate in a rugged mountainous landscape. The Uragan is highly maneuverable and can be emplaced in three minutes. The Russian military base in Tajikistan houses the largest ground force of the Russian military outside the country. The base was base formed by reorganizing the 201st division. It is located in the city of Dushanbe and in the town of Kulob. In October 2012, Russia and Tajikistan signed an agreement extending the deployment term of the base until 2042. The reinforcement of the 201st military base in Tajikistan with Uragan systems was due to the instability in neighboring Afghanistan, according to Dmitry Aleksandrov, a senior analyst at the Russia Institute for Strategic Studies. "I think that the deployment of these systems is a warning to any destructive force that in theory could launch aggression from Afghanistan. Currently, the situation is not critical, but the reinforcement of the 201st base seems to be aimed at preventing potential threats," Aleksandrov said in an interview with Radio Sputnik. According to the expert, this is a preventive measure and a "signal to members of extremist organizations." He noted that within the Collective Security Treaty Organization (CSTO) Russia and its allies have the capability to repel potential aggression. "I’d like to reiterate that as for Central Asia, there is a Russian air force base in Kant [in Kyrgyzstan]. It is part of the CSTO security mechanism. It also can be used if necessary. Such scenarios have been practiced during various joint drills. I think that Russia and its CSTO allies have enough capabilities to repel all kinds of threats in the region," Aleksandrov concluded. In February, Russian President Vladimir Putin visited Tajikistan. He held talks with his Tajik counterpart Emomali Rahmon. According to a joint statement by Putin and Rahmon, Russia and Tajikistan will continue coordination of efforts aimed at ensuring stability and security in Central Asia. "The sides will continue coordination of efforts aimed at neutralizing security threats coming from the southern direction against the Commonwealth of Independent States," the statement said. According to the document, Russia’s 201st military base remains an important factor in ensuring stability and security in the region. Russian servicemen giving an exhibition performance during the events on the occasion of the 70th anniversary of the 201st Russian military base deployed in Dushanbe, Tajikistan. In late-March, Russia and Tajikistan conducted joint anti-terrorist command and staff exercises. During the drills, Russian and Tajik servicemen practiced coordinating actions in joint operations against illegal armed groups. Meanwhile, in an interview with Russian media in April, Putin expressed hope that Russia will not have to use its military force deployed to Tajikistan over the situation in Afghanistan. "We very much count on the fact that we will never have to use our armed forces, including our units of the 201st base in Tajikistan," Putin told the Mir broadcaster. 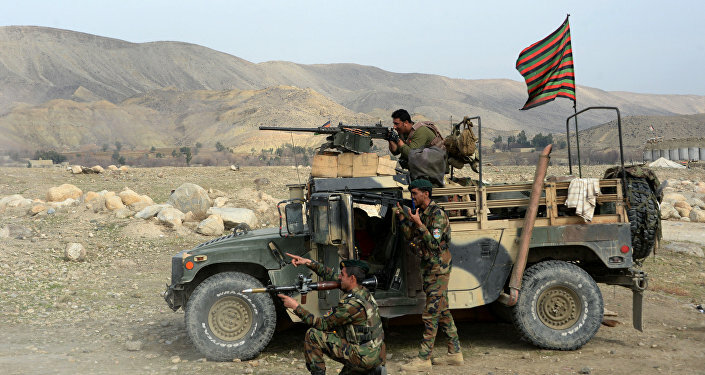 Afghanistan has been in a state of political and social turmoil, with government forces fighting the continuing Taliban insurgency. The instability has persisted in the country since the 2001 US-led invasion to defeat the Taliban and al-Qaeda in the wake of the 9/11 attacks in the United States.